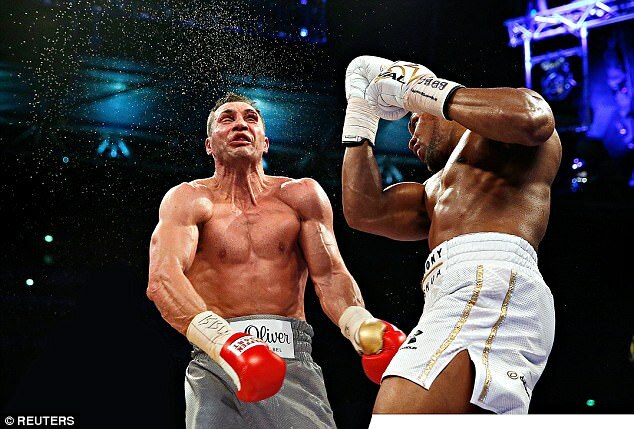 Mike Tyson has likened Anthony Joshua’s epic victory over Wladimir Klitschko to the way his sensational knock outs once re-galvanised the hard old game and the heavyweight division. Iron Mike expects Britain’s AJ to reign as the heir to his violent kingdom for a decade. The scale of Joshua’s sudden importance to boxing and its marquee division was spelled out thus by Tyson: ‘When a new heavyweight champion wins the world title as explosively as that it changes the whole game. Tyson identified much of his old scary self in Joshua when he analysed Saturday night’s unforgettable occasion and its thunderous 11th round climax: ‘Importantly, Joshua showed heart. He went down from a big punch by Klitschko but he didn’t give up, he got back up. That was real intestinal fortitude. There’s no quit in him. There speaks the Baddest Man on the Planet who threatened to drive one opponent’s nose bone into this brain and to eat the children of another. The rewards, he point out, will be worth it. Tyson, speaking to ESPN at the opening of his Boxing Academy franchise in Dubai, made an apparent reference to Floyd Mayweather’s huge earnings when said: ‘All the little guys who have been making a lot of money won’t be making so much any more. ‘This one fight has changed boxing. It’s going to be all about Joshua and the heavyweights now. Joshua, like Tyson, has won his first 19 professional fights by knock-out. 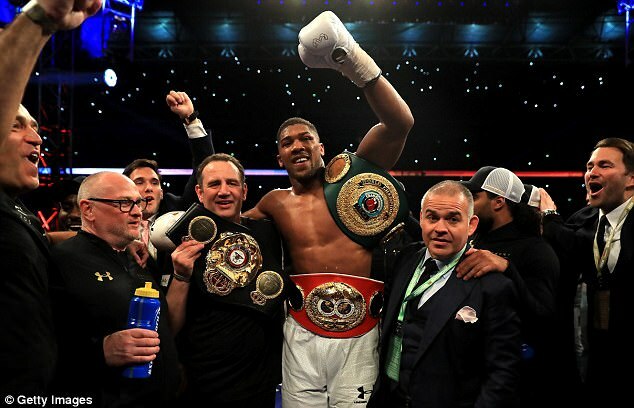 Tyson won his 20th on points and took nine fights longer than Joshua to win his world title, thereby becoming the youngest champion in heavyweight history. 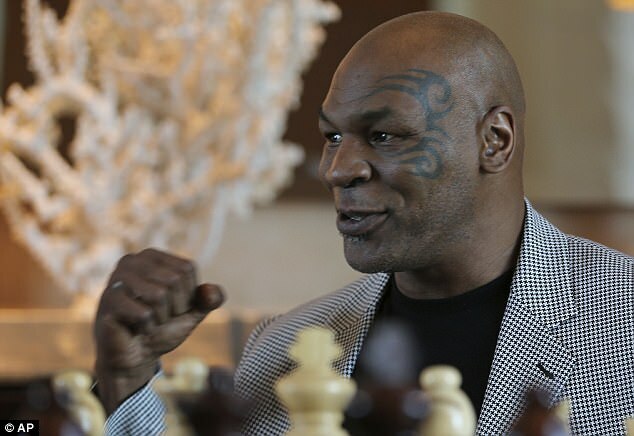 Tyson, who was estimated to have blown more than $300 million in purses, sees the similarities in his and Joshua’s upbringing, saying; ‘Sure I see the comparisons. If you are of Afro-English background you’re likely to have a tough time. ‘If you’re born in the wrong part of town it’s always going to be rough. You’re going to be financially challenged, scholastically challenged. It was like that for me and it’s like that now. He might have added that he can also become richer than Croesus. But unlike Iron Mike, AJ is not likely to squander his wealth.